Blemished = Cosmetic Blemishes: Minor discoloration/oxidation of product or scratches on product. These blemishes will not affect performance. 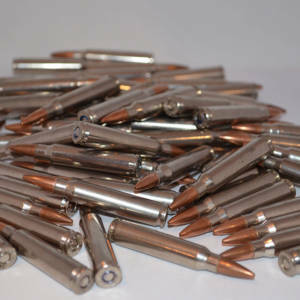 One of the most popular calibers in existence is the 30-06 Springfield. 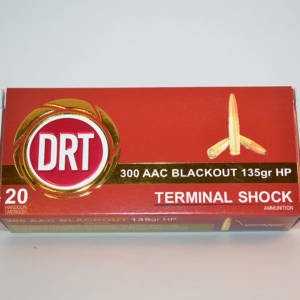 Legendary for it’s hard hitting, high velocity rounds – this round has just been upgraded with some serious technology. 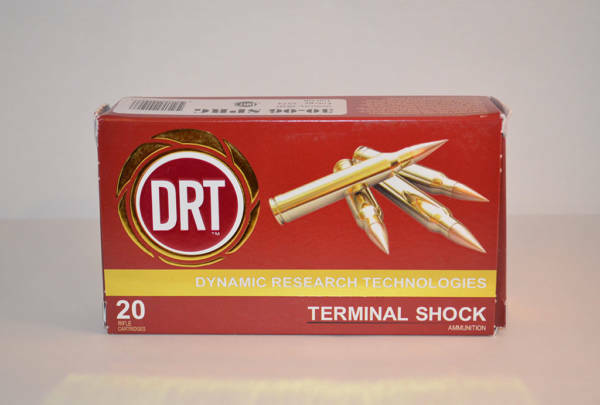 DRT’s 30 cal 150 gr bullet causes giant wound cavities stopping game quickly. This bullet will penetrate barriers like shoulder blades easily before expanding and unleashing it’s core on the vital organs. The powder from the bullet is contained in those organs, not tampering the meat. 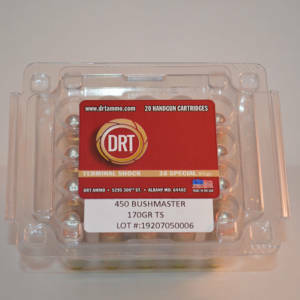 This bullet is suitable for hogs, deer, and elk sized game. Please read our FAQ section before ordering.